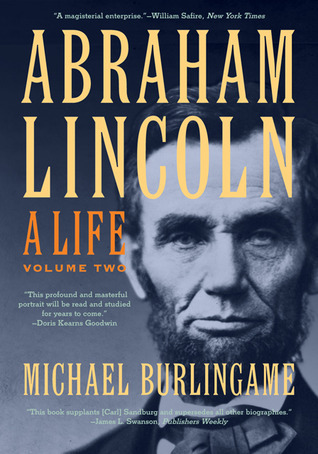 “Abraham Lincoln: A Life” is Michael Burlingame’s 2008 two-volume biography of our sixteenth president. Burlingame is the author or editor of over a dozen books on Abraham Lincoln. His mentor was renowned Lincoln scholar David Herbert Donald (who taught a Civil War course Burlingame took as a freshman at Princeton). He is currently a professor at the University of Illinois at Springfield. The scale and scope of Burlingame’s biography of Lincoln is breathtaking: at nearly 1,600 pages of text (plus 320 pages of notes) this magisterial work aspires to be the definitive Lincoln biography of our time. It is also the first comprehensive, multi-volume work on Lincoln in two-thirds of a century. But while the published two-volume series is substantial, its uncondensed (and far more heavily footnoted) version is twice the size – and free online. This biography is obviously the result of time-consuming and painstaking research. Burlingame mined recently-released documents detailing Lincoln’s career as a lawyer and unearthed an impressive array of newspaper articles, diary entries and letters authored during Lincoln’s life. Not all of the fresh insight survived the editing process, however; a quick comparison of the published volumes with the lengthier online edition shows substantial material left on the editor’s floor in the interest of economy. 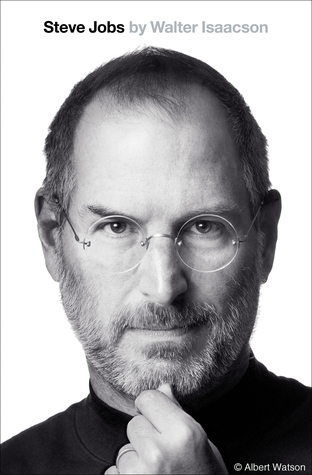 Nonetheless this biography is still far more extensive, and exhaustive, than most readers will require – or desire. Navigating these two volumes requires a fair degree of patience and perseverance. Fortunately, Burlingame is a facile storyteller and has authored a seemingly unique blend of (i) narrative history, (ii) psychoanalysis of Lincoln (and his often insufferable wife), and (iii) an encyclopedic accounting of nearly every aspect of Lincoln’s life. The series generally proceeds chronologically and follows an outline similar to other Lincoln biographies. But because of the rich supply of supporting facts he has uncovered, Burlingame is able to buttress every main point with multiple anecdotes, quotes or first-hand observations. His style is generally to make a point and then reinforce it not once or twice, but often a half-dozen (or more) times from a variety of sources. This is one of the series’ fundamental strengths – and one of its weaknesses. It is hard to imagine that a Lincoln enthusiast can be exposed to such a wide variety of perspectives on his Lincoln’s life anywhere else. But a slightly impatient reader will quickly learn to identify a key point or conclusion, read two or three supporting sentences, and then scan ahead to the next main point (skipping several paragraphs in the process). “Abraham Lincoln: A Life” is primarily a story of Lincoln and his legal and political careers (and to a lesser degree, his psychological profile). It provides a vivid account of Lincoln’s youth and crushing poverty and an equally colorful description of what he endured in his marriage to Mary Todd Lincoln. But otherwise there is relatively little focus on Lincoln’s children, the Civil War or his assassination. Readers seeking a battlefield history of the war or the full John Wilkes Booth “assassination story” will be disappointed. Volume 1 covers Lincoln’s first fifty-two years, from his early childhood to his election as president. The volume ends as Lincoln is boarding a train in Illinois to carry him to Washington for his inauguration. His chaotic family life and the circumstances surrounding his upbringing are brilliantly and thoroughly described. Coverage of the Lincoln-Douglas debates of 1858 was also outstanding as was the discussion of the Republican convention at which Lincoln was nominated as his party’s presidential candidate. Ironically, coverage of the presidential campaign itself was tedious and relatively uninteresting though the account of Lincoln’s cabinet selection process was fascinating. Volume 2 covers Lincoln’s inauguration, presidency and death. Although not a good primer on the Civil War itself (rarely do we witness troop movements or battles and there is little discussion of military tactics or strategy) the volume provides a penetrating account of the national political scene and Lincoln’s behind-the-scenes struggles to reunify the nation and, ultimately, emancipate the nation’s slaves. The breadth and depth of Burlingame’s series reminds me of James Flexner’s series on Washington and Dumas Malone’s series on Jefferson – though this work on Lincoln seems on steroids and to benefit from modern research. In each of these series the text may not always be lively, fun or carefree, but each is consistently insightful and scholarly. Burlingame’s biography goes well beyond providing basic coverage, so it is not ideal for someone new to Lincoln’s life. There is so much supporting evidence and detail that a reader unfamiliar with Lincoln or the Civil War may often lose the forest for the trees. Fortunately, the story is well-written and is not focused narrowly on an academic audience. But the novice will be well-served to first read a more basic introduction to Lincoln’s life. However, I cannot imagine a more thorough, informative or astute review of Lincoln’s life and political career than this series offers. It provides a wonderful source of insight into the life a remarkable politician (and man). No one – novice or scholar – can read Burlingame’s biography without developing a greater appreciation for how far Lincoln rose above his humble origins, and how great the challenges were he faced as president. Burlingame’s addition to the already extensive roster of Lincoln biographies is invaluable and indispensable. Reblogged this on The Presidents Project. I suppose the real question is whether it’s worth the extra effort to read the uncondensed version. I’m trying to read one biography per president, with some exception, and so your blog is a great resource for figuring out where to go. I’m just starting to Polk, so the question is not urgent. But did you consider reading the uncondensed version in your time deciding which biography to read. I went with the three-volume version for Jackson and don’t regret a minute of it. And when Chitwood felt too one-sided, I gave up the one-biography rule and read the May simultaneously. And I’m always reading Great Triumvirate to get a separate perspective. The question is whether getting the fullest effect requires reading the uncondensed and either reading as a book or figuring out how to get the PDFs onto my iPad. Thoughts? The odds are probably pretty high that the uncondensed version is worthwhile, but since I’m currently in the midst of Carl Sandburg’s 3300 page (more or less) six-volume series I know how difficult it can be wading through such a massive amount of information. I, too, loved the Remini three-volume series on Jackson although his condensed version was good as well (but not quite as good). I think I’ll probably go back and read Burlingame’s full version after I get through each of the presidents once. So far his two-volume condensed series is one of the more instructive, interesting reads on Lincoln so I can only hope his longer version is even better. The non-condensed version seems to be pulled down from the Knox website and I haven’t found it anywhere else in a brief fit of Googling. It may be that it’s not around anymore. UPDATE: I just found the non-condensed version; it appears that Knox College re-structured their website(s) and Burlingame’s book got moved to a new location. Link updated and crisis averted. Thanks for noticing the problem! I just finished this series yesterday, after 2 months of reading (1 month for each volume). I echo your sentiments about the scope and depth of this work. I can’t imagine the amount of work required to produce a series such as this. This series really illustrates just how adept Lincoln was at managing events as president. At every turn, no matter what course he took, he was praised or berated, as shown by extensive supporting evidence from contemporary sources. The extent of the coverage makes it feel as if he’s covering Harry Truman, and not events that took place 150+ years ago. The presidential years, in particular, seem to come alive and seem more like current times, based on the extent of the coverage. Before reading this series, as extensive as it is, I thought an unabridged, longer version would seem like overkill–who could possibly want more than what’s offered in the published volumes? But I enjoyed the series so much, I found myself thinking the longer version might be ever better (!). I would highly recommend this to other readers who really want to get a solid understanding of Lincoln, and also understand the political pressures he endured. Just be forewarned that it’s an investment, and hopefully other would agree, a worthy investment. It was so great to read your comment because every once in awhile someone asks me if I *really* think Burlingame’s seemingly technical and definitely lengthy series is as worthwhile as the David Herbert Donald or Ronald White bios of Lincoln. I remember the answer as “yes!” but I can understand how someone who hasn’t started Burligame’s volumes would be reluctant to believe that. I probably got 50 pages into the unabridged, online-only version (just for fun, not intending to go very far) and realized it does pack more punch than the abridged series…but you get more bang for the buck (insight per hour of time expended) with the two printed volumes. In any event, I do think anyone who loves Lincoln has to find time to read this series. Hi. Do you have any advice on the decision between paperback and hardback? I’ve read several comments about the poor quality of the hardback edition. Thanks. Can’t say I have any special insight on that – I have paperback in this case and it worked fine for me but I usually do prefer hardcover. Due to the size of the books (circa 1k pages each) the hardcover bindings are very fragile and susceptible to cracking. If you’re planning on reading the books, the softcover edition would be a better, less-expensive option. question about Burlingame’s two volumes.Is it what you would call a very hard read or a fairly easy read?Could a beginner read it if they wanted to? For me it was a “medium intensity” experience – lengthy and occasionally dense, but straightforward and not too erudite or pretentious. A beginner with a bit of stamina can certainly get through these volumes.